For flexible OLED(organic light emitting diodes) lightings, a roll-to-roll evaporation system was developed. 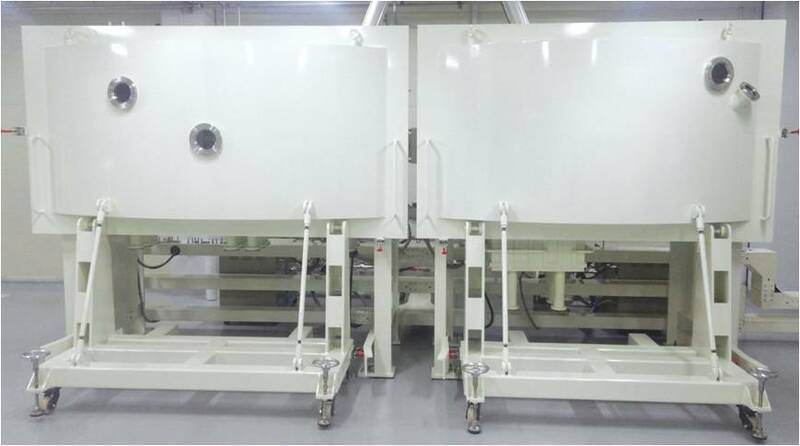 The roll-to-roll evaporation system consists of vacuum coaters with linear-like source for continuous depositions, a roll-to-roll web handling module for flexible substrates and a 6-axis alignment module for mask alignment under vacuum environment. 6-Axis alignment module of RGB fine pixel pattern.